As we continue our journey through the “Underappreciated features of SQL Server”, this week are are looking at a few of the T-SQL enhancements that the community felt did not get the deserved attention. This was in response to Andy Warren’s editorial of the same name on SQLServerCentral.com. Today, we will look at exception handling in T-SQL using the TRY…CATCH statements introduced since SQL Server 2005. Because this is now almost 6 years old, I was a bit surprised to see this in the list of underappreciated features. Hence, while I will touch upon the essential points, I will provide pointers that would help you to get started on the use of TRY…CATCH and then explore a new related feature introduced in SQL 11 (“Denali”). I am posting this on a Thursday, because I will be covering the exception handling options from SQL 7/2000 onwards and also so that it the reader gets some time to experiment with the various options presented here over the week-end. --              and location/line# are no longer same as the original error. --              is returned to the user. -- Drawback #3: Error message is not controlled by the application, but by the T-SQL code! Clearly, with the advent of nested operations and multi-tier architecture and patterns, this had a lot of drawbacks, and the world was in need of something new. 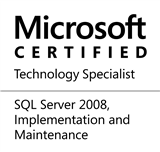 SQL Server 2005 saw a major change in the history and architecture of Microsoft SQL Server. SQL Server now started using the Visual Studio platform and was now Microsoft .NET framework based. One of the things that this move gave to SQL Server was the fact that it could now leverage the built-in TRY…CATCH functionality provided by the framework. To know more about this functionality, please refer an article from our esteemed MVP, Mr. Pinal Dave (blog). RAISERROR ('An error occurred within a user transaction. As you can see, most of the problems are now resolved. Microsoft SQL Server provides specific functions that would return the correct information about an error occurring from anywhere within a block of monitored code (i.e. the code in “TRY”). One problem remains however – if your code uses RAISERROR, you would still have the problem of an incorrect error number (if not embedded within the message). The basic structure and use of TRY…CATCH is quite simple as demonstrated above. There is much more to TRY…CATCH, which I will leave it upon the reader to explore. The remaining drawback of RAISERROR mentioned above and the solution provided by Microsoft in it’s upcoming SQL Server release (SQL 11 – Code named: “Denali”) is handled very well by the renowned MVP, Mr. Jacob Sebastian (blog) here. Phew!…That was a long one. I hope that you now have a good overview of the powerful exception handling that Microsoft SQL Server provides. In the next release of your product, ensure that all our T-SQL code is protected from unhandled exceptions. If you want to read more on exception handling, you can refer Erland Sommarskog’s (blog) post here. If you have any good exception handling tips to share, do let us know by leaving your feedback. This entry was posted in #SQLServer, Blog, Imported from BeyondRelational and tagged #SQLServer on February 24, 2011 by nakulvachhrajani. How does this work? Why? sure, I can paste it into my code, but it would be so helpful to understand the logic behind it. lines 18-24 are no longer needed in the Denali example…correct? That is correct, George. Thank-you for your feedback! > I appreciate these articles, but I really wish you’d go a couple steps further and explain the code. Such as the line: Error Number : %d How does this work? Why? sure, I can paste it into my code, but it would be so helpful to understand the logic behind it. This post comes quite late, and is probably somewhat off topic, but raiserror in this context is being used in the same manner as C’s printf() function. In summary, the function iterates over the text string, and when it sees a % character, it will print the value of the next parameter in the parameter list in it’s place. the character following the % represents the type of the parameter that the function needs to print. Just think of it as a different approach to insert variables into print statements than using + to concat strings. Anyway, this was a very helpful article! You are correct, DamareYoh, that the string operations done by RAISERROR are similar to those done by the PRINTF() function. However, RAISERROR also raises an error in the T-SQL code which is it’s primary function. The PRINTF behaviour gives RAISERROR the ability to for T-SQL developers to use a user-friendly message when raising errors to the calling application/code. I’d added “Uncommittable Transactions” to try/catch article. And use cast(‘abc’ as int) as one of examples.